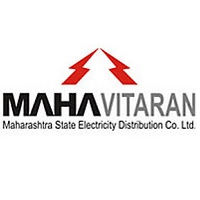 MSEDCL Recruitment 2018 – Maharashtra State Electricity Distribution Company Limited (MSEDCL) Job notifications for Graduate Engineer Trainee and Diploma Engineer Trainee. The detailed eligibility and application process are given in below. Graduate Engineer-Trainee: Bachelor’s Degree in Electrical Engineering/Technology from a University or Institute. Diploma Engineer Trainee: Diploma in Electrical Engineering from a University/Institute. 5 years relaxable for the candidates belonging to backward classes. The Persons with Disability candidates relaxable up to 40 years. Training: MSEDCL in the Challenging Role as Graduate Engineer Trainee and Diploma Engineer Trainee for period of one year and thereafter absorption in regular post of Assistant Engineer (Dist.) and Junior Engineer (Dist.) respectively on successful completion of training. The select list will be drawn by giving 90% weight-age to the performance in the written/ online test and 10% weight-age to the academic performance. No fee for Persons with Disabilities/Ex-Servicemen. How to apply for MSEDCL Recruitment 2018? All interested and eligible candidates can apply for this position in online from 28 August to 17 September 2018.